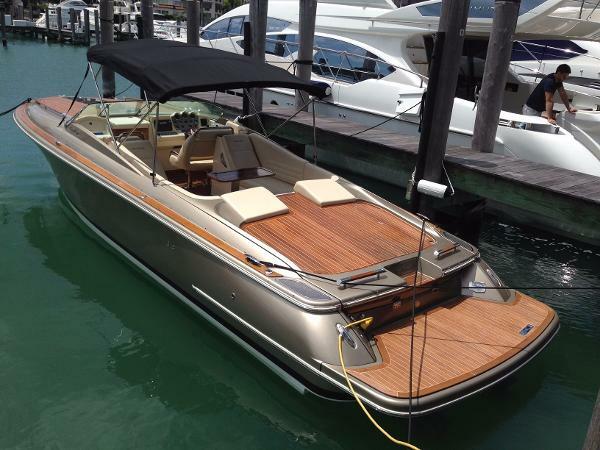 2013 Chris-Craft 32 Corsair Preliminary listing. Photos will be added soon. 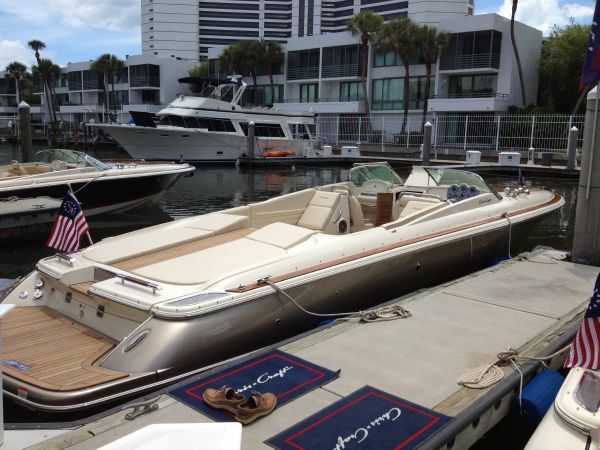 This is our trade in and we want to Fire Sale this beautiful Chris Craft. Call in for additional information. 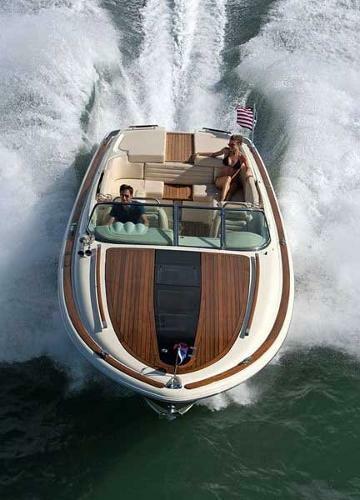 2013 Chris Craft 32 Corsair Heritage Edition. Colors:Midnight Blue hull color with Riviera Red Stripe. Navy Blue Bimini Top. Champagne Cockpit Vinyl Color. Engines:2x MerCruiser 8.2 MAG HO (430HP) SeaCore. Joy Stick Piloting. 195 Hours. Kohler Generator with 25 Hours. Options:Bow Docking Lights. Garmin GPSmap (Touch Screen Display). Underwater Lights. Windlass with SS Anchor. Air Conditioning. Cockpit Table. Electric Drivers Helm Seat. Galley convenience Package (Stove & Microwave). Waste Macerator with Ball Valve. Standard Features:5 Year Transferable Hull Structural Warranty. Automatic Fire Suppression System. Base and Bottom Premium Gel Coat. Electric Wiring - Color coded and numbered circuits. High-End Fit and Finish with Custom Chris-Craft 316 Stainless Steel Hardware. Meets SBYC, USCG and CE Standards. 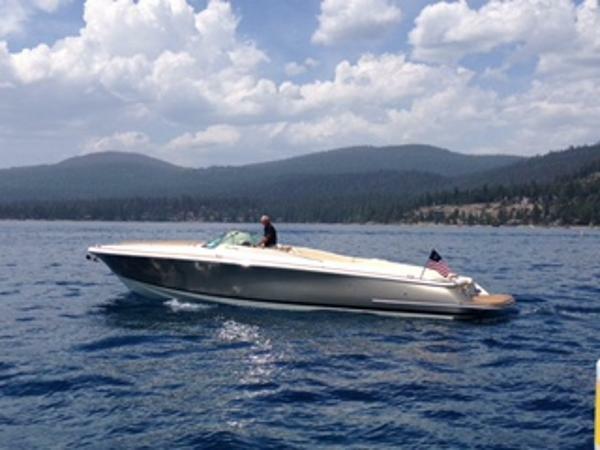 Trademark Chris-Craft Aft Hull Tumblehome Design. Fuel Tank Anti-Siphon Valve. Bilge Pump with Auto Float Switch. Bucket Seats with Integrated Stainless Steel Handrails, Flip Up Bolsters, Fore/AFT Swivel Adjustments. Dash Mounted Compass. Battery Switch Panel with Breakers. Cockpit Assisted Draining. EPA Compliant Fuel System. Integrated swim platform with hidden three step stainless steel swim ladder. Wood Free Hull Construction. Bilge Blower. Stainless Steel Cup Holders. Cockpit LED Lighting. In Dash LCD Depth Finder. 2014 Chris-Craft 32 Corsair 2014 Chris-Craft Heritage Edition 32 Corsair with only 35 hours since new. Powered by twin Mercruiser 8.2 Mag SeaCore engines (380hp/ea). Other options include Axius docking system, hullside Cashmere paint, full teak engine hatch with ivory cream sunpad, black cockpit cover, Sirius radio, waste macerator, windlass with SS anchor and line, underwater lights, galley convenience pkg (110V) and electric drivers seat. This Chris-Craft is very clean, but she is bottom painted. Her owner is moving up to a larger boat and wants this one sold asap. Call today for your best deal!